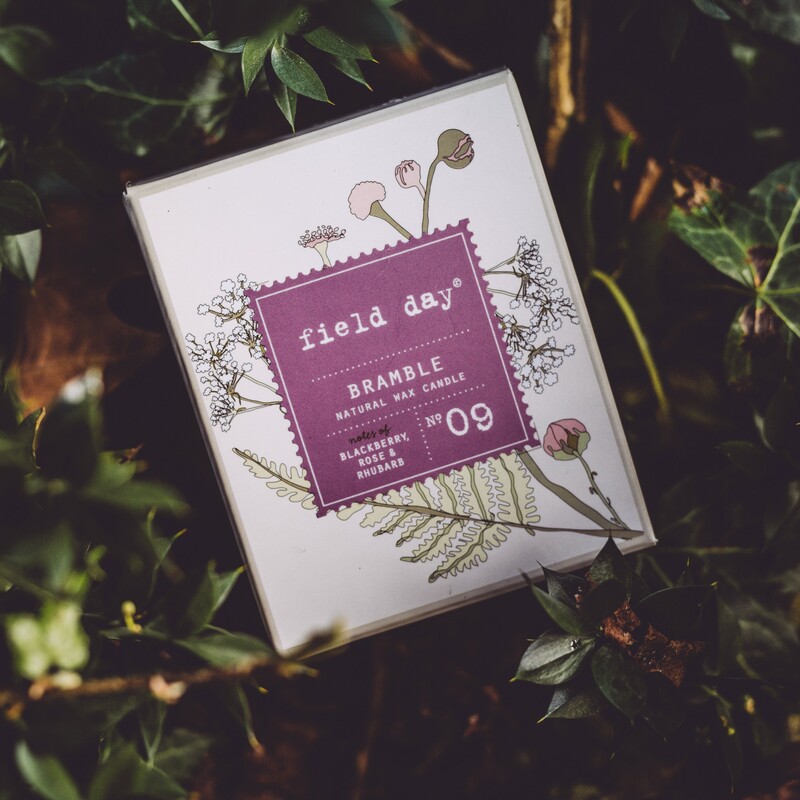 We’re very excited about the latest addition to the Field Day candle range, Field Day Bramble which has just arrived at Field Day stockists nationwide and online at www.fielddayireland.ie. Bramble is the stunning new fragrance from Irish home fragrance brand Field Day. It is inspired by August days spent foraging for blackberries along hedgerows in the Irish countryside, and evokes lazy, late summer days. With blackberry, rose and rhubarb, the fragrance has a gorgeous fruity sweetness balanced with a base notes of clove. For Field Day Creator Alix Mulholland, who revels in what she calls the basic luxuries of life, whether it’s the scent of freshly laundered linen or stone walls covered in wild bramble, Bramble is truly a labour of love. It joins the other fragrances in the range including bestselling Linen, Wild Rose, Sea and Field, along with Gorse, Tea, Fireside and Woodland. Presented in a gorgeous glass jar in a beautiful branded Field Day box, Bramble makes for a perfect gift for yourself or someone special! All of our candles are handmade in County Down and contain a fragrance content of nine per cent. The industry average is around three to five per cent. As Field Day candles are infused with scent, you can rest assured that your new Bramble candle will release the same lovely scent down to the very last inch, ensuring you get to enjoy that summer feeling for longer.